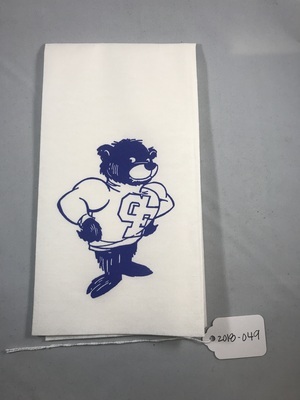 White/ cream napkin with a picture of the George Fox Bruin bear printed in blue. 16.5 in. by 13 in.